Sir Martin Sorrell has stepped down as Chief Executive Officer of WPP with immediate effect. Roberto Quarta, Chairman of WPP, becomes Executive Chairman until the appointment of a new Chief Executive Officer. Sir Martin will be available to assist with the transition. The previously announced investigation into an allegation of misconduct against Sir Martin has concluded. The allegation did not involve amounts that are material. 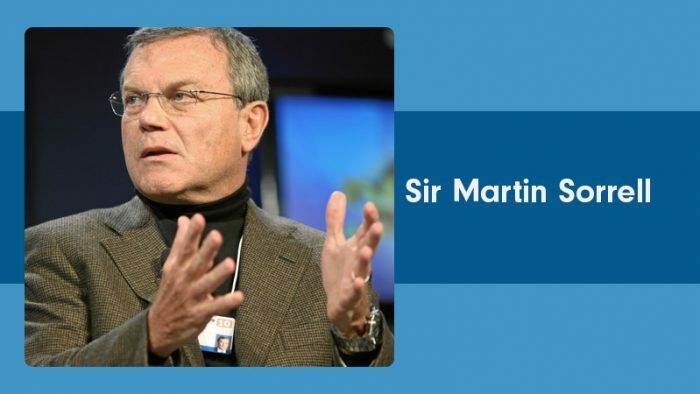 In accordance with his at-will employment agreement, Sir Martin will be treated as having retired on leaving WPP, as detailed in the Directors’ Compensation Policy. His share awards will be pro-rated in line with the plan rules and will vest over the next five years, to the extent Group performance targets are achieved.